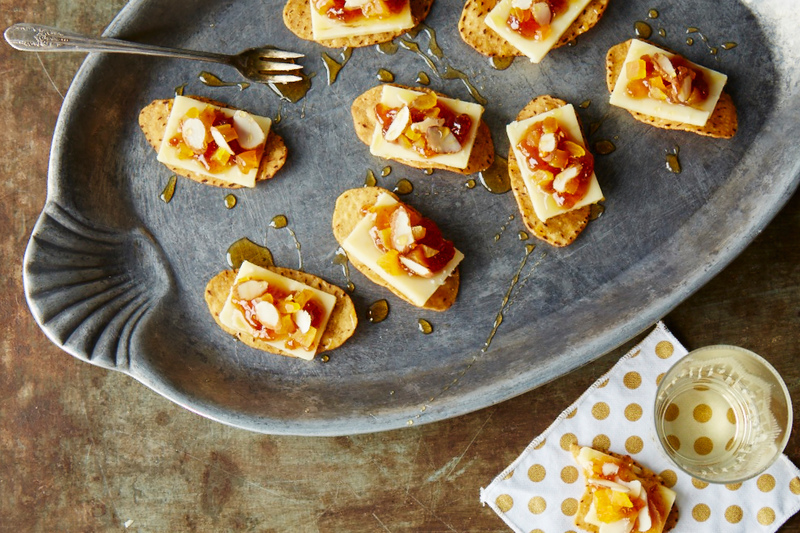 Cheese is good for more than just cheese and crackers. Try some of our favorite recipes below. Lay chips on a serving platter, top each one with a slice of Alpine Cheddar, a teaspoon of fig spread, and top with a small piece of dried apricot. Optional: extra coconut oil for brushing on top along with cinnamon and stevia for sprinkling. Shred cheese and chop apple. Combine all dry ingredient in one bowl, and all wet ingredients in another, except for the coconut oil. Combine wet ingredient into the dry ingredients until thoroughly mixed. "Cut" in chilled coconut oil by teaspoon (think of typical scones where you cut in cubes of chilled butter). Fold in apples and cheese. Form dough into a circular shape on tray sprayed with nonstick spray. Cut into four "scones". Lightly brush extra melted coconut oil on top of dough, and sprinkle with cinnamon and Stevia (or sugar of choice). Bake in oven for 12-15 minutes, or until browned on outside. Place a cast iron skillet on medium-low heat. Once heated, add oil to the skillet. Add garlic, onion, and red pepper. Saute until cooked through. Add spices, salt and pepper, rice, beans, and salsa. While the vegetable mixture is cooking, in a large bowl, beat eggs and yogurt together. Pour the eggs over the vegetables evenly. Bring the heat up to medium. Let cook until the eggs start to set on the edges, about 6 minutes. In last minute of cooking, sprinkle cheese and cilantro on top. Once the eggs start to set, place the entire skillet in the oven for 10 minutes.